It’s definitely time for another bit of flash fiction inspired by the witty and strange Chuck Wendig. And this challenge is especially strange. The challenge itself involves the F-bomb, but in the interest of readers with delicate sensibilities, I’ll use “eff”. But don’t follow any links if you’re one of these readers, because there are F-bombs falling all over the place. They’re funny as hell if you do follow them, though. Just saying. So we were to follow this link that goes to a page called “who the eff is my DND character”. DND stands for Dungeons and Dragons. The site pumps out an odd combination of a character and behavior and possibly a place of origin. We were to use that as inspiration for a piece of flash fiction. I had to Google what a halfling is – think “hobbit”. I’m going with dwarf because that fits better. Okay, so now that we’re all on board, it’s story time. I stepped out of the car and with my backpack slung over my shoulder, I stared at the house that was to be my home for the summer. My dad walked around the car to stand next to me. “See, honey? It’s not so bad.” He put his arm around the back of my shoulders, like that would make this okay. Like his decision to work in London all summer and leave me here was okay. I sighed but stayed planted on the sidewalk. “Come on, Desiree. He’s waiting.” My dad grabbed my hand and pulled me up the path to the front door. It’s not that I don’t like my Uncle Alek. It’s that he’s…weird. We had to come here for Thanksgiving a couple times when I was younger, the first time when I was eight. My parents had told me he had a condition called dwarfism, but I didn’t really understand what that meant until I stood face-to-face with an adult man who was shorter than me. That wasn’t what made him weird, though. For some reason, he referred to everything as “she”. Everything. The table. The couch. His shoe. Weird dwarf uncles, that’s who. Dad knocked on the door, and I shifted on my feet. No, I’m pretty sure the mat won’t mind. I rolled my eyes. He walked to the car and drove away. I stood in the doorway and scowled until the car was out of sight. I shrugged. It was either leave with him or sit around here and mope. I did enough of that on the way here, and it didn’t work. I’m still here. He led me to the garage and to a car modified for him to drive. I felt insanely awkward next to him in the passenger seat. I slouched a bit, trying to even things out. “It’s different for you, I know. But she gets me where I need to go.” He started the car by pushing a button. The engine was so quiet I couldn’t hear it. I almost laughed but lacked any other response. “What do you know about me?” he asked. I shrugged. I’m sure Dad had tried to tell me about Uncle Alek, but I couldn’t remember what he said. “I had a wife, back in my village. One night, the Soviet soldiers attacked us.They wanted to capture the young men and force them into their army. But the women…” He turned his attention to the road. I still didn’t know what to say. I stared, waiting for the rest and wondering how he could watch someone murder his wife and not go crazy. After he parked, he walked to the back of the car and retrieved a gym bag. I followed him into the building, where the people greeted him with big smiles. Walking down a hallway, he pointed into a room with mirrors covering two walls. About a dozen kids occupied it. I followed his directions and opened the door. The young faces looked at me in unison. I smiled at them. 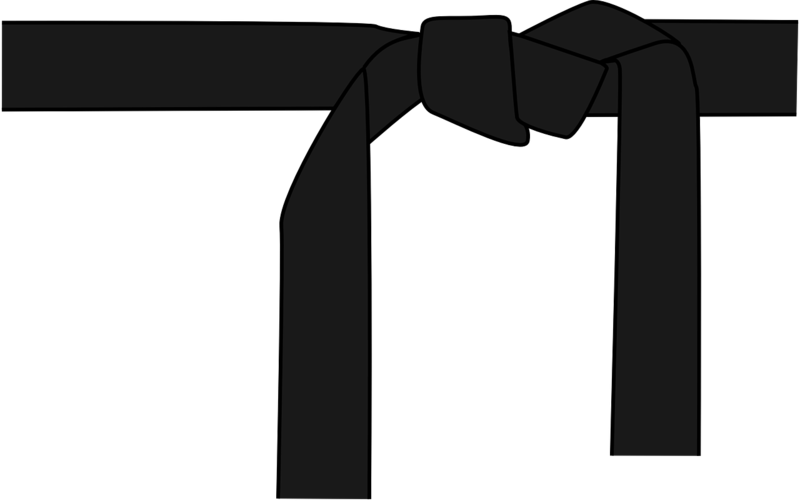 The kids all wore white suits with white or yellow belts – karate suits. Uncle Alek entered the room as I was answering Molly’s question. He wore his own white suit adorned with a black belt. “Good afternoon,” he said. Many stood taller than my uncle, but it didn’t matter. He was their teacher. Their master. He was teaching them how to fight. I sat against one of the mirrored walls and watched Uncle Alek. He never asked me to join or even acknowledged I was there. It was like he knew this was something I needed to see. Another wonderful short story, this one with a monster moral to it. There’s always an expectation that’s met at the end…a question answered at the end. I love it. This one is a personal favorite. Nicely written tale – great character in the Uncle, and that brutal mid-point where Uncle is sharing his history… well done. I’m impressed. Great story & characterization. Sharing wholeheartedly.